There are lots of different reasons city dwellers are choosing to keep chickens in their backyard, but one thing is certain: the number of backyard flocks on urban and suburban blocks is on the rise. The recent increase in interest in backyard chickens is growing in parallel to the popularity of the urban homesteading movement overall, which has resulted in a renaissance of home ec arts that had largely fallen to the wayside, such as backyard vegetable gardens, composting, and drying and canning foods. For those who live in rural areas or areas zoned for agricultural purposes, there are few regulations or property size limitations to keep you from growing your own food and raising livestock, but it can be a bit trickier to transform part of your backyard into a mini homestead if you live in the city or the suburbs. Nevertheless, urban and suburban farms of varying sizes are popping up across the country as more city dwellers become interested in living in a more eco-friendly manner or becoming more self-sufficient. Maintaining a small flock of chickens in your backyard provides more than just fresh eggs for your family’s use. Here are just 13 of the benefits you can enjoy by adding a few chickens to your family. 1. Eggs from backyard chickens are healthier than store-bought options, including generally being higher in vitamin A, vitamin E and beta carotene, and lower in cholesterol and saturated fat. 2. Families can save money by raising laying hens at home instead of purchasing eggs at grocery stores or farmers markets. 3. 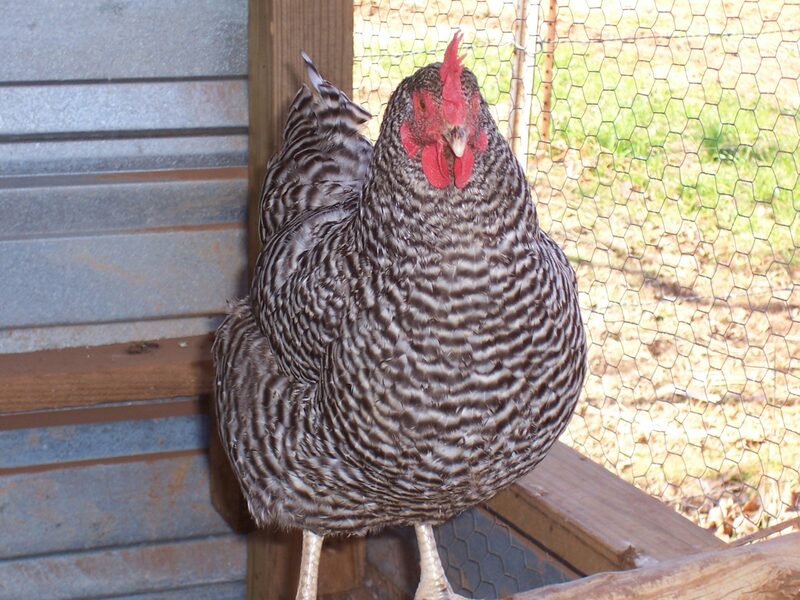 Chickens provide natural pest control for your yard or garden by eating insects and snails. 4. Chicken manure can be added to your compost pile or worked into the soil as a free, all-natural fertilizer. 5. If you do not want a compost pile in your backyard, you can feed your chickens kitchen scraps to reduce kitchen waste and still end up with usable fertilizer. 6. 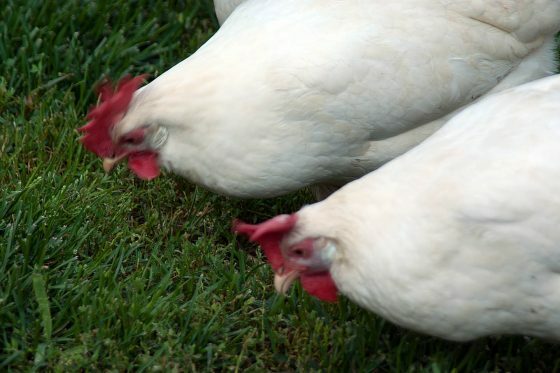 Chickens can assist in yard maintenance by eating weeds and fruits that have fallen from your backyard fruit trees. 7. Gathering eggs from backyard chickens instead of purchasing eggs at the store reduces carbon emissions and other environmental factors related to transporting eggs. 8. Eggs gathered from your backyard require no packaging materials, which reduces waste and the energy consumption, water use and raw materials involved in creating egg cartons. 9. Backyard chickens provide a learning opportunity for children who can learn responsibility, how to take care of animals and how food is produced. 10. When you raise your own chickens, you know those chickens live in a humane environment and will not be subjected to cruel procedures, such as partial removal of their beaks. 11. You know exactly what the chickens are fed and know that your chickens have not received high doses of unnecessary antibiotics or hormones. 12. Chickens can be surprisingly entertaining to watch and affectionate pets for your family to enjoy. 13. 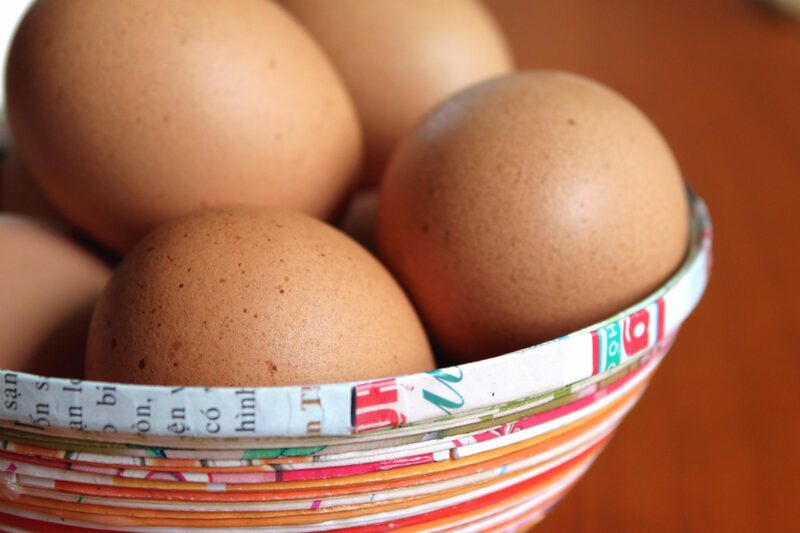 Backyard eggs are fresher and taste better than store-bought options. Folks who live in more rural areas of San Diego County have been keeping chickens on small and large farms for generations, but those who live a bit closer to downtown have only recently been able to build backyard coops and gather fresh eggs from their own hens. City ordinances and zoning regulations govern who can and cannot keep backyard chickens, where coops can be built and how many chickens can be raised on a particular property. Your ability to raise backyard chickens will depend on where you live in San Diego County and the size of your backyard. If you live in a neighborhood with a homeowner’s association (HOA) or CC&Rs, there may be additional restrictions or a complete prohibition on backyard chickens, regardless of the laws in your particular city. Additionally, renters will need to get permission from their landlords before installing a coop or purchasing hens in order to avoid problems and maintain a good tenant-landlord relationship. Within the City of San Diego, most homeowners living in detached, single-family homes are allowed to have up to five chickens in their backyard, resulting from a January 2012 change in the Municipal Code. The total number of chickens you can have is partially dependent on the size of your backyard. For example, homeowners with larger properties may be able to have up to 25 backyard chickens if their property size allows for a minimum of 50 feet between their coop and any residence. — Roosters are not permitted. — Up to five chickens are permitted. — There must be a chicken coop that is ventilated, watertight, predator proof and allowing at least six square feet for each chicken. — The chicken coop must be in the backyard. — The chicken coop must be at least 13 feet from the property line at the back of your property. — The chicken coop must be at least five feet from the property lines at the side of your property. Prior to purchasing materials to build a coop or any chickens, you should definitely become familiar with Section 42.0709 of the Municipal Code, which can be found by downloading this City of San Diego document and scrolling down almost to the bottom. The regulations that assert how far your coop needs to be from property lines or structures are called zone setbacks. After you understand the regulations governing backyard chickens in San Diego, you will want to make sure you know the specific zone setback for your property. You can do this by going to the City of San Diego Development Services Official Zoning Map and typing in your address. This will provide you with the name of the zone for your particular property, and a clickable link that says “More Info”. You can look up your zone’s setback requirements by clicking on that link and going to the Development Regulations Table that is particular to your zone. If all of this sounds a bit confusing, you can also just call (619) 446-5000 to reach the Development Services Department for assistance in determining your zone’s setback requirements. If you think keeping chickens might be right for you but you have never raised chickens, it is important that you first educate yourself on the pros and cons of a backyard flock, how to care for your hens, what to expect, what you need and how chickens might affect your backyard landscaping. The first step is to look into any local ordinances, CC&Rs or homeowner’s association by-laws that may regulate the size of your flock or prohibit chickens in your neighborhood. Once you determine that you can have chickens and know how many you are allowed, decide how many chickens will be in your initial flock. It is best to start small, so since most homeowners in San Diego are allowed to have up to five chickens, you may want to start with two or three, and then increase to five once you have determined that raising chickens is right for you. Before you acquire your hens, you will need to build a coop that is positioned on your property in accordance with setback requirements and that will meet any HOA regulations for outbuildings (if you have an HOA). Your coop will need to include nesting boxes where your hens will lay their eggs, roosts where your hens will hang out and sleep at night, at least one feeder and a water source. It must be designed to keep your chickens comfortable throughout the year and safe from predators, which can include coyotes, raccoons, dogs and cats in suburban and city settings. 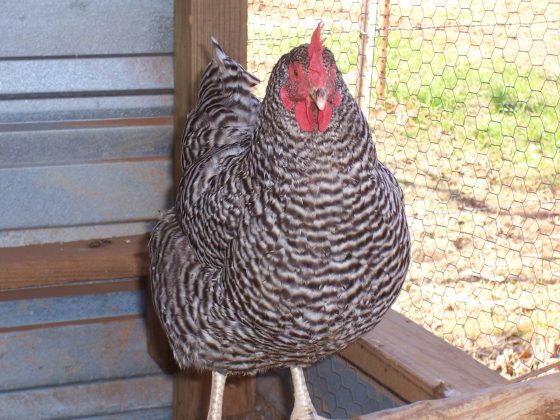 You will want to design your coop with cleanliness and convenience in mind, such as considering nesting boxes that can be accessed from outside the coop for easy egg gathering and placing roosts to avoid stepping on droppings every time you enter your coop. You can purchase a pre-made coop at some livestock supply stores or online, have a contractor build a coop for you, or make it a do-it-yourself backyard improvement, and use one of the many free chicken coop plans available online to complete your DIY project. You can get lots of design ideas, coop construction tips and free plans at BackyardChickens.com. Once you have your coop completed, you are ready to acquire some hens and get down to the business of raising backyard chickens. Breed selection is an important part of creating a flock that will get along, produce eggs dependably and do well where you live. If you purchase hens at a local feed store, you can be pretty sure you are getting a breed that will do well in San Diego’s climate. You can do a little research online or talk to locals with successful flocks for tips on which breeds might work best for you. Keep in mind that there are often neglected, abandoned or abused chickens available for adoption at animal shelters. Much like the dogs and cats at these shelters, these chickens need good homes, which provides you with an opportunity to meet your egg-gathering needs while giving a home to rescue chickens in need of a safe, humane place to live. 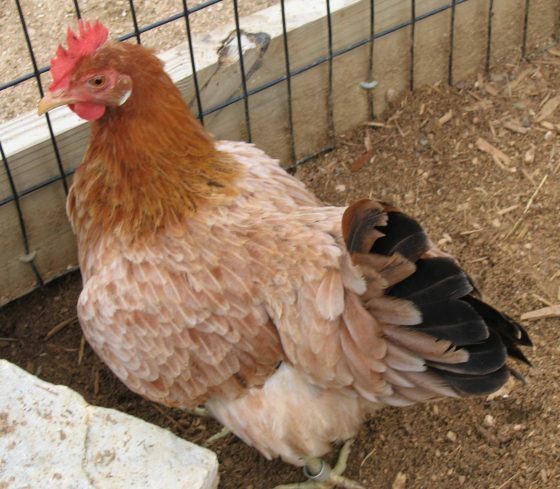 Before you introduce a flock into your backyard, make sure your vegetable garden, flowerbeds and landscaping features that could be damaged by your hens are safely off limits and protected. Chickens are a great addition to your backyard, providing eggs, natural pest control, a free composting service for kitchen scraps, and even some weed control. However, their tendency to eat just about anything you throw their way means they will also have no problem dining in your vegetable garden or tearing up your flowerbeds as they scratch the soil in search of insects and worms. For the safety of your chickens and your landscaping, it is generally best to keep your chickens in an enclosure that provides them with plenty of room to move around as they please but protects them from potential predators. A fully fenced enclosure with a roof of some sort and side fencing that is sunk at least one foot into the ground can help prevent digging or climbing predators from entering the pen and harming your hens. A fully fenced enclosure also keeps your chickens safely away from the rest of your backyard landscaping so that you will not have to sacrifice the look of your backyard to have a few fresh eggs in the morning. 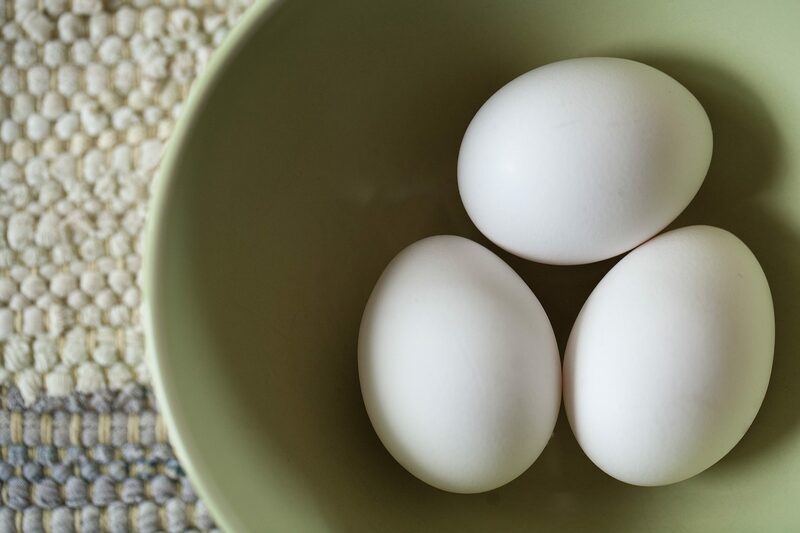 Chickens will eat almost anything you feed them and will get some of their food from scratching up insects and worms, but a healthy, well-balanced diet is essential for the health of your chickens and dependable egg production. Make sure you provide your flock with high-quality chicken feed on top of the kitchen scraps and whatever they find in the soil. Your neighborhood veterinarian may not be experienced in providing veterinary care for chickens, so you will need to find a vet who can provide care for your flock in order to be prepared to meet their medical needs. You will also want to brush up on your basic chicken first aid and put together a first aid kit to make sure you have essential supplies on hand at all times. You will likely deal mostly with small scrapes and cuts that can be disinfected with peroxide and protected by triple antibiotic ointment, but if one of your hens becomes egg bound, would you know what to do? If you are not familiar with caring for chickens, you will learn a lot from experience and from chatting up other backyard chicken owners online, but you can also get a book from your local library or bookstore to make sure you know the basics before getting started. Do you have backyard chickens? If so, what tips for keeping chickens can you share?